HealthFlex is offered through the Wespath Benefits & Investments, a general agency of the denomination. HealthFlex is an integrated, wellness-driven health program focused on you. Just as John Wesley encouraged healthy living, HealthFlex supports participants like you to improve the quality of your health. HealthFlex is more than just a health insurance plan—it’s a comprehensive approach to healthier living. 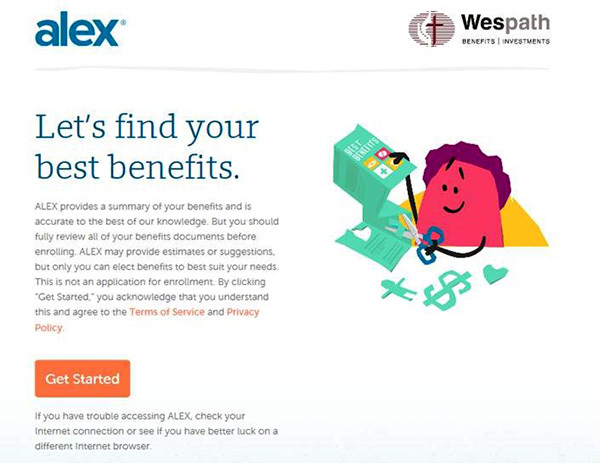 Alex the HealthFlex tool to help participants with their coverage decisions can help you with the 2019 open enrollment. Summary of the THREE dental plans offered by EOC for All dental plans are ‘buy up’ options for participants. Summary of the THREE vision plans offered by EOC. The Core vision plan will be included with the C2000 & H2000 medical plans. The Full Service & Premier vision plans are ‘buy up’ options for participants. East Ohio Conference’s annual HealthFlex open enrollment (10/31/2018 – 11/15/2018) offers eligible participants an opportunity to select additional benefit plans and contribute to tax-advantage accounts for 2019. The participant’s elections are deductions from their monthly compensation. Letters have been sent to the churches and employers detailing the election choices for their participant(s)/employee(s). The conference’s monthly health care & pension statement will include the billing for participant’s Health Flex buy-up elections. All benefit premium deductions from compensation and the contributions to participant’s HSA and FSA (MRA & DCA) are pre-tax deductions. The conference sponsored plans with HealthFlex will use the national BlueCard PPO network. Select BlueCard PPO/EPO in the “Choose your Network” drop down (see below). BCBS has excellent coverage throughout the country. Participants can access in network providers in any state and still be in Network. This 2018 Health Benefits Plan page will have the latest information, as it is available. Please direct questions to Benefits Manager Betsy Stewart at betsy@eocumc.com.